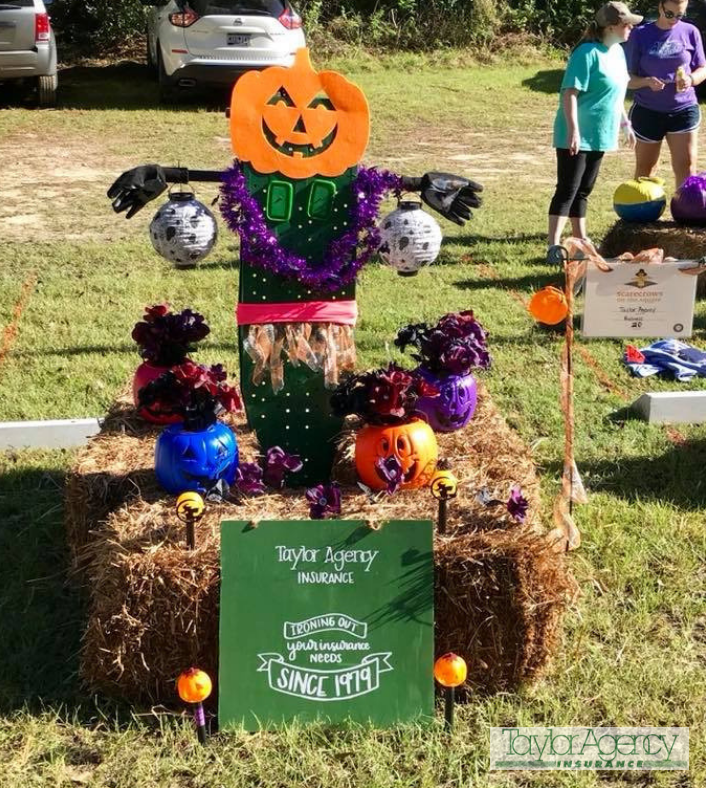 In support of the Junior Service League of Summerville, Taylor Agency participated in the Scarecrows on the Square from October 13th – 27th at 207 W Cedar Street. Personal Lines Account Managers, Katie Tyler and Andrea Rae, are reminding us that Taylor Agency has been helping “iron out your insurance needs” for 40 years. The Ronald McDonald House – Breakfast is served! 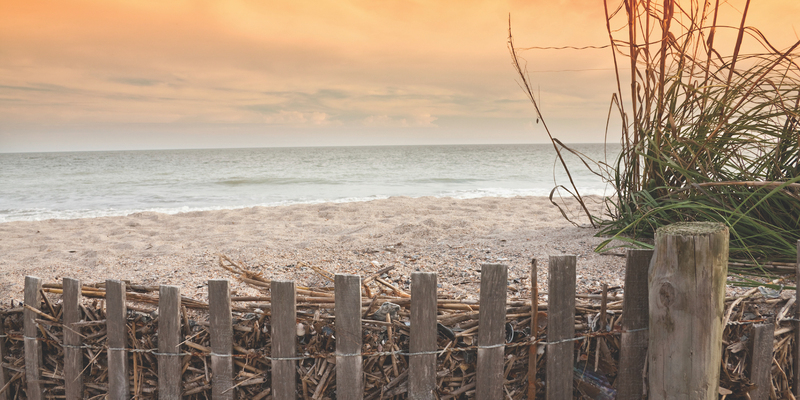 Rise and shine! It’s breakfast time! 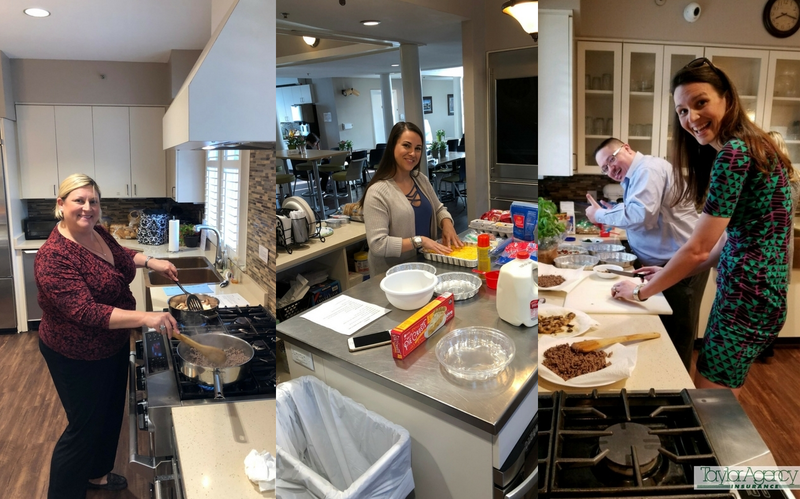 A few of our Taylor Agency team members woke up early and went to make breakfast for the families at the Ronald McDonald House in downtown Charleston. They made breakfast quiche with smiles all around. The Ronald McDonald House is a “home-away-from-home” where families stay while their children undergo extensive medical treatment. They have houses all over the country. We were glad we could contribute to their great cause. Bon appétit! 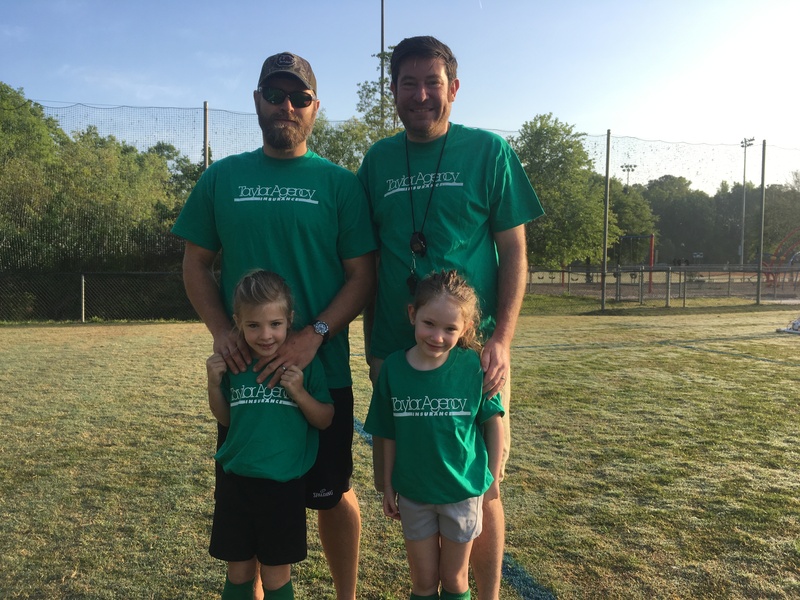 City of Charleston Recreation Department : Soccer! Taylor Agency had the pleasure of sponsoring one of the soccer teams from the City of Charleston Recreation Department. They had their first game this past weekend and did such a great job! Pictured are Macy Jones and Ali Wheeler all ready to go play some soccer. Also pictured are their coaches (and fathers) Jonathan Jones and Billy Wheeler. It’s that time of the year again! 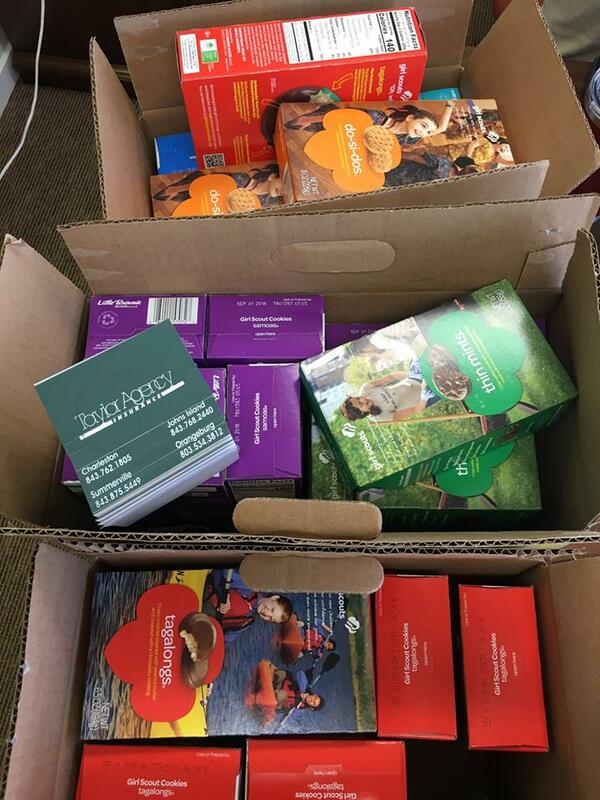 The Girl Scout cookie campaign reached the folks at Taylor Agency. 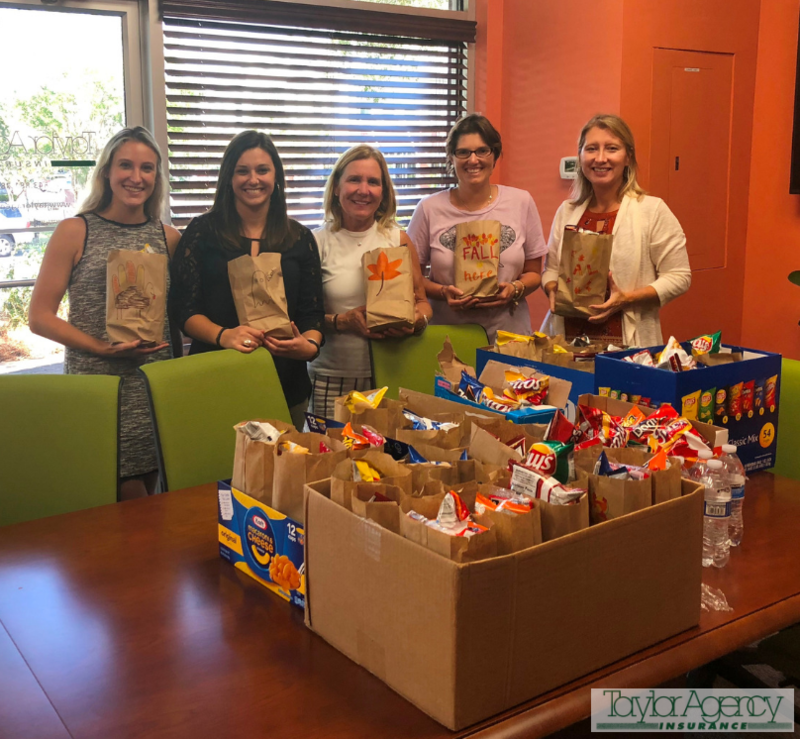 Office staff felt compelled to support this amazing organization whose mission is to “…build girls of courage, confidence, and character, who make the world a better place.” Taylor Agency also got to indulge on some yummy treats. It was a win-win in our book! Partnering with Johnson & Johnson’s 2017 Food Drive, 20 insurance agencies participated and gave an astounding 6066 pounds of food to help their local communities. That was 3,461 pounds over 2016’s donation! As a participant, Taylor Agency was able to donate 820.9 pounds with 417 pounds coming from Charleston Personal Lines office.